Last weekend, BringBee team members organized the #MapCongo Party at Betahaus Berlin in cooperation with Médecins Sans Frontières (Doctors Without Borders). 50 volunteers learned about the difficulties in the development work in Congo. Many of the areas are poorly mapped which makes it hard to plan and provide aid. The volunteers were taught how to trace streets on OpenStreetMap and created more than100,000 edits to the mapping in Katanga. 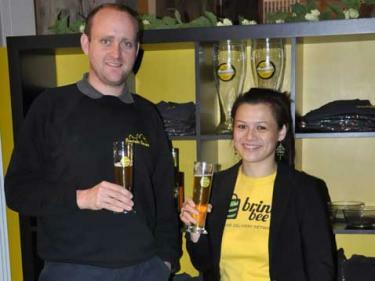 This successul event demonstrates how crowd-sourcing can also be applied to the world of development aid. Today i want to present two of our outstanding team members: Shoaib Burq and Kashif Rasul. One special interest is their love for geo-applications and maps. Kashif is a core commiter for PostGIS, the leading open source extension to turn PostgreSQL into a geospatial database and Shoaib has worked for the Australian government for years, mapping the world and oceans. Now they are helping out to save Congo! 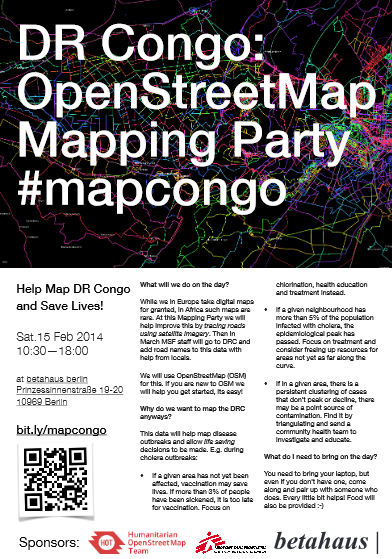 On February 15th, they are helping out at the congo mapping party, showing and helping to trace maps to build up open street maps for Congo. The results will ultimately help to map outbreaks of cholorea and other diseases. 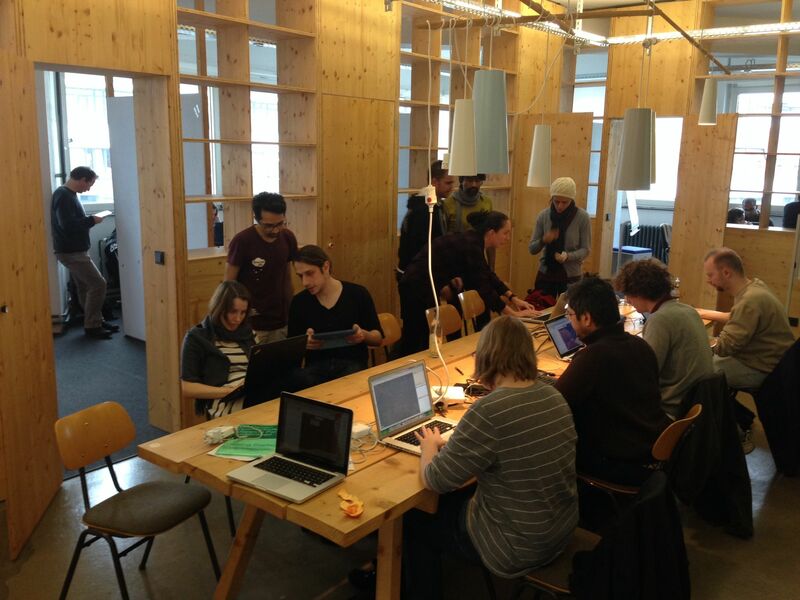 If you are in Berlin, if you want to learn how to trace maps for open street map, if you want to contribute to make aid more efficient in Congo, come to the event in Berlin’s beta house.